It has been some time since I've reviewed Halloween music. Much of what's out there just doesn't interest me. I have SO MUCH Halloween music that it is tough to tempt me - it would take something special, very special. Halloween carols...who would have thought? Kristen Lawrence has managed to break my review silence with her CD "A Broom With a View". I absolutely LOVE this CD. It is like nothing I currently have, yet it somehow feels familiar to me. Her inspirations shine through...reminding me of Danny Elfman's movie music (ala The Nightmare Before Christmas) with a theatrical feel to it- haunting like the Phantom of the Opera. Her voice is beautiful, her song writing skills superb and overall the CD is simply perfect. These are Halloween carols - well crafted and thoughtful. I would recommend this CD for anyone who loves good music. It is also kid friendly so don't fret about playing this around a house full of kids. 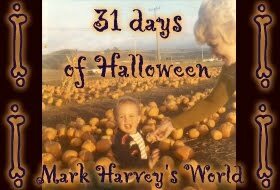 The Halloween Carols are a collection I have written for the purpose of celebrating Halloween and the fall season. They are based on the history of Halloween, the rapturous feelings that autumn inspires, and the quirkiness of this unique holiday. In December we pull out our Christmas CDs, but what do we pull out in October? Cheap, “spooky” sound effects and time-weary compilations? It makes me sad. I think Danny Elfman gave us some great stuff with his music for The Nightmare Before Christmas and Corpse Bride, and I love what he creates. But we need more! And I have my own style to give you." Kristen's music should be standard fare for every one's Halloween season. It is truly special. "A Broom With a View" has 13 tracks and runs 67:56. I can listen to this CD over and over and over again. 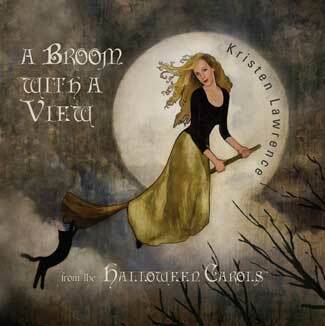 Download "A Broom With a View" NOW! 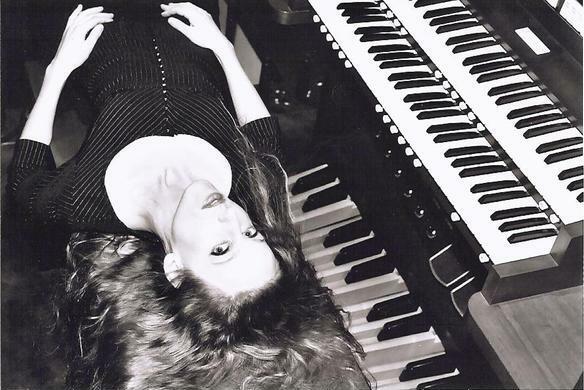 Please check out her site here and purchase her music. Support indie musicians folks!